Your heart has four valves: the mitral valve and the aortic valve on the left side of your heart and the tricuspid valve and the pulmonic valve on the right side of your heart. In order for blood to move properly through your heart, each of these valves must open and close properly as the heart beats. The valves are composed of tissue (usually referred to as leaflets or cusps). This tissue comes together to close the valve, preventing blood from improperly mixing in the heart’s four chambers (right and left atrium and right and left ventricle). When do the heart valves open and close? You may notice that the beating of your heart makes a “lubb-dubb, lubb-dubb” sound. This sound corresponds to the opening and closing of the valves in your heart. The first “lubb” sound is softer than the second; this is the sound of the mitral and tricuspid valves closing after the ventricles have filled with blood. As the mitral and tricuspid valves close, the aortic and pulmonic valves open to allow blood to flow from the contracting ventricles. Blood from the left ventricle is pumped through the aortic valve to the rest of the body, while blood from the right ventricle goes through the pulmonic valve and on to the lungs. The second “dubb,” which is much louder, is the sound of the aortic and pulmonic valves closing. How often do my heart valves open and close? The average human heart beats 100,000 times per day. Over the life of an average 70-year-old, that means over 2.5 billion beats. How big are my heart valves? Your heart is about the size of your two hands clasped together. The aortic and pulmonic valves are about the size of a quarter or half dollar, while the mitral and tricuspid valves are about the size of an old-fashioned silver dollar. What causes valvular heart disease? – an infection of the valve tissue. – a specific type of infection more prevalent in developing countries where the valve tissue becomes inflamed and/or fused together. – over time, calcium in your body can build up on the tissue of your valves making it difficult for them to move properly. – a condition you are born with such as having only two leaflets on the aortic valve rather than three. – also known as coronary artery disease, in which the heart’s own blood vessels become clogged and can no longer deliver the proper amount of blood. – a progressive process that represents slow degeneration from mitral valve prolapse (improper leaflet movement). Over time, the attachments of the valve thin out or rupture and the leaflets become floppy and redundant. There are different methods for treating valvular heart disease, and you should discuss your options with your physician. In some cases, no action may be needed and a “wait and see” approach may be used. Your doctor may also prescribe various medications that may improve your symptoms. If the disease has progressed, your doctor may recommend intervention. What procedure is appropriate is a decision that your doctor will make in consultation with you. This is dependent upon such things as which valve or valves need to be addressed, your specific medical conditions, and other factors. In general, there are two options to treat valvular heart disease: one is to repair your native valve, and the other is to replace your native valve with a prosthetic valve. During typical “open-chest” surgery to repair or replace a heart valve, the surgeon makes one large main incision in the middle of the chest and breastbone to access the heart. A heart-lung machine takes over the job of circulating blood throughout the body during the procedure, because the heart must be still and quiet while the surgeon operates. Many surgeons are now able to offer their patients minimal incision valve surgery as an alternative to open-chest heart valve surgery. Smaller incisions may be on the side of the chest or in the center. In addition, for some patients it is possible to replace the aortic valve using less-invasive, catheter-based techniques. With these approaches, an interventional cardiologist guides a new valve or a repair device into the beating heart using guidance from X-ray and echocardiography. For example, a new valve may be inserted through an incision in the leg (or slightly higher up) that does not require the chest to be opened, and cardiopulmonary bypass or use of the heart-lung machine is usually not required. How is minimal incision valve surgery performed? Minimal incision valve surgery does not require a large incision or cutting through the entire breastbone. The surgeon gains access to the heart through smaller, less visible incisions (sometimes called “ports”) that are made between the ribs or a smaller breastbone incision. The diseased valve can be repaired or replaced with the surgeon looking at the heart directly or through a small, tube-shaped camera. How can my heart valve be repaired? In some cases, it is possible to repair your valve. Repair is most commonly performed on the mitral and tricuspid valves. The goal of the repair procedure is to fix your native valve so that it can open and close properly, thereby restoring normal blood flow through the heart. An implantable device which is usually ring-shaped with a metal core may be placed directly above your valve and tied in place with sutures. This procedure is called ring annuloplasty. The ring helps your valve maintain its proper shape so that blood does not leak out as the heart contracts and relaxes. This surgery can be performed with a conventional, full open-chest or through a less invasive or minimal incision approach as well. How can my heart valve be replaced? If your heart valve cannot be repaired, your doctor may decide to replace your native valve with a prosthetic valve. The aortic valve is the most commonly replaced heart valve. The prosthetic valves are usually one of two types: a mechanical valve or a tissue valve. A mechanical valve is made from synthetic (manmade) materials, primarily carbon. A tissue valve is usually made from either the tissue from a pig’s aorta or the tissue from the pericardium (sac surrounding the heart) of a cow. Valve replacement can be performed with a conventional, full open-chest or through less invasive or minimal incision approaches as well. Are there any complications or other risks with heart valve surgery that I should know about? Serious complications, sometimes leading to re-operation or death, may be associated with heart valve surgery. It is important to discuss your particular situation with your doctor to understand the possible risks, benefits, and complications associated with the surgery. How long does an artificial heart valve last? Longevity of an artificial tissue valve depends on many patient variables and medical conditions. This makes it impossible to predict how long a valve or repair device will last in any one patient. All patients with prosthetic heart valves should have a yearly echocardiogram and check-up in order to assess heart valve function. Should I have a mechanical valve or a tissue valve? You should discuss this question with your doctor as there are advantages and disadvantages to both. The key is to choose the valve that best fits your lifestyle and your goals. A mechanical valve may last longer than a tissue valve (which can wear out over time). However, patients with mechanical valves are required to be on anticoagulants (blood thinners) for life. Tissue valves do not require you to be on blood thinners for the rest of your life. However, they can wear out over time which may require a re-operation. Should I expect an immediate improvement in my health following heart valve repair or replacement surgery? The results of valve repair or replacement surgery vary for each individual. Many individuals feel relief from symptoms immediately, while other patients begin to notice an improvement in their symptoms in the weeks following surgery. 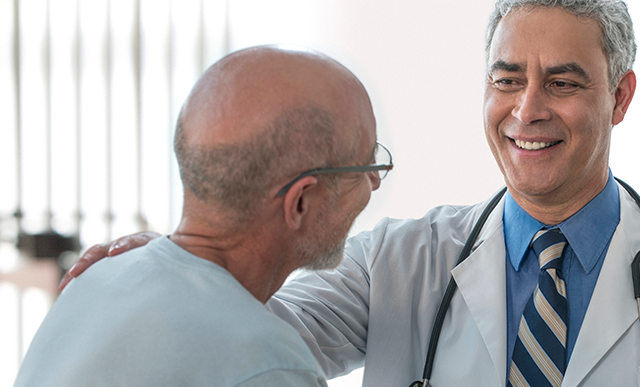 Your doctor can help you to evaluate your progress and physical health following valve repair or replacement surgery. How long after heart valve repair or replacement surgery can I resume “normal” levels of activity? If you have a valve replaced or repaired, the normal recovery period is four to eight weeks, although minimally invasive approaches are often associated with more rapid recovery. Your ability to return to your normal daily activities depends on several factors, including the type of valve repair/replacement you’ve had, how you feel, how well your incision is healing, and the advice of your doctor. Regardless of the pace of your recovery, a supervised cardiac rehabilitation program is always helpful to regain energy and ensure overall good health. Will I need to take any medications following my heart valve repair or replacement surgery? As with any surgical procedure, you may be required to take medications following surgery. Discuss with your doctor which (if any) medications you may need, in particular if you received a mechanical valve which requires anticoagulants (blood thinners). What do I need to know if I am required to take blood thinners after my surgery? Anticoagulants, or blood thinners, decrease the blood’s natural ability to clot. If you must take anticoagulant drugs, you will need periodic blood tests to measure the blood’s ability to clot. This test result helps your doctor determine the amount of anticoagulant you need. It may take a while to establish the right dosage of this drug for you, but consistency and working with your doctor are important. Home testing may also be available, so check with your physician about this option. Consult your doctor about interactions with any other drugs you may be taking and dietary restrictions you may have while taking anticoagulants, and also ask about any signs to watch for that might indicate your dosage is too high. How do I take care of my valve? Be sure your dentist and doctors know that you have had heart valve surgery. Ask your dentist and doctor about taking antibiotics before dental or surgical procedures or endoscopy to help prevent valve infection. Always follow your doctor’s instructions carefully.